The foundation stone of St. Mary's church was laid in March 1863, and the church was consecrated by Bishop Short, of St. Asaph, on 3 September 1864. Almost all the stonework was quarried, and worked, on the site. 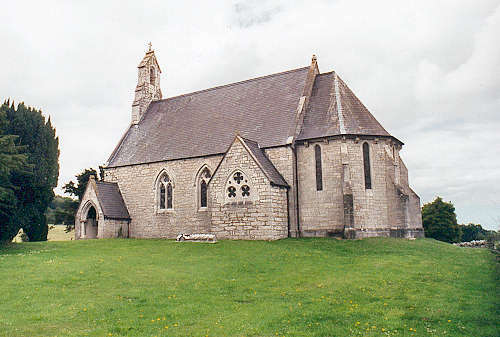 The new parish of Cefn was created on 7 February 1865. It comprised the two townships of Wigfair and Meiriadog (both in Denbighshire), which had until then been in the parish of St. Asaph in Flintshire. For family history information about the church and parish, visit the GENUKI Cefn Meiriadog page.